This is the LAST Giveaway for my Blog’s 1 year Anniversary! This week, Kim from KC Bakes, has graciously donated a Mini Cake Pop Stand. Thanks, Kim! I own three of these wonderful stands and I use them for all the cake pops that I make. No more using Styrofoam – This stand won’t fall over or get your sticks covered in green “fuzz”. I’m also including a Cake Pop Mold Kit and a Cake Pop Book. Oops, I did it again! I took a delicious Little Debbie treat and made it into a Pop! First it was the Swiss Rolls, then Nutty Bars, followed by Strawberry Shortcake Rolls. AND… since it’s now officially fall, here’s my contribution to Pumpkin Treats all over Blog-land! 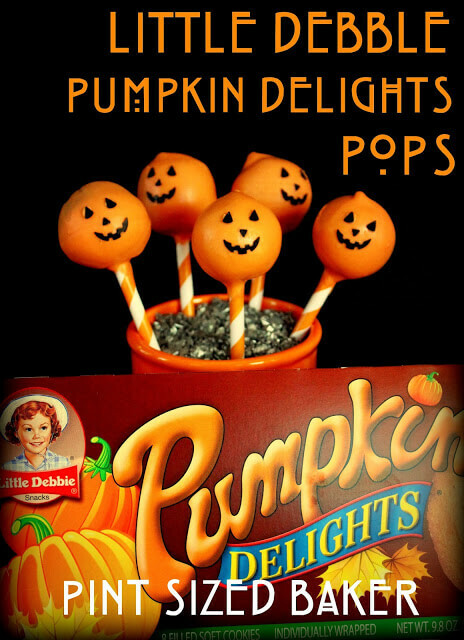 Little Debbie Pumpkin Delights made into Pops! First, I took my cookies and crumbled them in a food processor. Then, using a cookie scoop, I got 12 pops. Dip the Pops in Orange candy melts and allow to dry. Not sure how to do this… Watch my Video. To make these cute Jack-o-Lantern faces, I used the Wilton Sugar Sheets and a fun paper punch. Yes, the face was all in pieces, so it was a bit tedious, but I thought the end result was better than me hand piping it. I used a toothpick to add a dot of candy and then adhered the cut out using tweezers to pick up the tiny piece and place it on the pop. These are an easy way to make some cute Jack-o-Lantern Cake Pops. You can take it up a notch by adding some indentation on the pop with a stick prior to dipping to get the shape. Then add a chocolate chip or pretzel bit as a stem and some green shoestring licorice for a stem like THIS. Unwrap Cookies and pulse in Food Processor until they are a fine crumble. They will look “loose” but when you press together they will hold the shape. 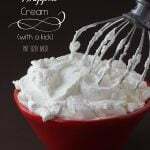 There is no need to add any extra frosting or binder. 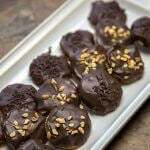 Use a Cookie Scoop to measure out 12 pops and form into balls. Melt Orange Candy Melts in a glass or ceramic bowl for 30 second intervals at 70% power in the microwave. Stir between intervals until smooth. Do not allow the candy to get too hot. Dip 1/4 inch of a lollipop stick (or straw) into the candy and then insert half way into the cookie pop. 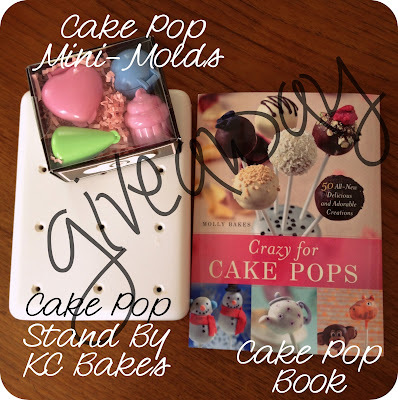 Use your KC Bakes stand to hold the pops upright and keep the round shape. Once all the pops are on sticks, start with the first pop and dip straight down and back up again coating the entire pop. Tap the stick to allow excess candy to drip off. Stand back up in stand. Punch out 12 Jack-o-Lantern faces using you hole punch and Sugar Sheets. Place a dot of candy on the pop with a toothpick and add the face details. I used tweezers to pick up the small pieces. Serve to some great kids! ** I found the EK Success hole punch at Micheal’s Craft Store, but I can’t find it online to show you. I’m not sure if this was from last year’s stock or not. Sorry. This post was FEATURED on these blogs. My favorite cake pop shape is definitely the Ball. So easy to make just about anything from these and I love the cake pop molds!! Thanks for offering this great giveaway! Those looks so good! and they are so cute! I love THIS cake pop design.. I tried to make Pumpkins before and to be such a simple design it's actually more difficult than you think to make the designs. What did you have problems with? I've made the pumpkin indents before and didn't have a difficult time. For these pops, I intentionally left them smooth so that the face wouldn't have an issue. How about a tutorial on cake pops that look like christmas ornaments. I can do that! Look for it come November. Gosh I love the idea of making the faces with sugar sheets! I never had thought of that. I tried making some pumpkin pops the other day and used a pretzel for the stem– the faces would have put them over the top! Thanks Holly. I've used pretzels, chocolate chips, and green licorice for pumpkin tops. I don't think you can go wrong. Oh my goodness! 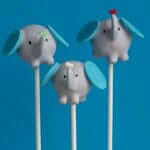 These are sooo cute – and I love that you use a ready made treat! So glad I found you at Mix it up Monday! I think your 'punkin heads' are the cutest ever – the faces are SO cool! These are so adorable and fun! Love that you used Little Debbie snacks. YUMMERS! Thanks, Aimee! They tasted great! These are so stinkin' cute, girl! 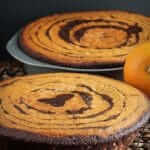 I love that you used those Little Debbie pumpkin treats–SO much easier than baking a cake (which I loathe). I loved your ice cream cone cake pops the best; too adorable! Thanks, Haley! 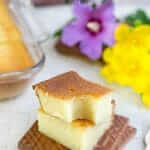 If there are short cuts to great desserts you can count me in. I've got too many other things to do. Besides, every Pumpkin recipe has been DONE! I needed something a bit different in the pumpkin department. It'a hard to choose which cake pop design is my favorite. It's definitely a toss up between the Chick Chick cake pops or the Rose cake pops V. 2.0! Awesome giveaway! I love these Halloween cake pops! How cute! great idea, thanks for sharing! i want to make those for my son's B-day on Halloween!!!!!!! I would love to see more tutorials on making cake pop arrangements. Love your work! perfect giveaway to start the fall! Just looked at all your cake pops and I think my favorite are the marbled ones. You do such a great job at that. Mine always turn out dull. Love your blog!! Keep going! Thank you so much for your kind words. Not sure why your pops would be "dull". Feel free to send me an e-mail if you ever have any questions. My favorite design is the rose cake pop v2.0. I really love the teeth cake pops. I am aspiring to become a dentist so I think that they're really cute! I love the idea of using a sugar sheet and paper punch to do the face – what an outside-of-the-box technique. You are so creative when it comes to making cake pops. I love all them. My favorite is the mustache cake pops. I love how you used the sugar sheets. Great Job!! id love to see a tutorial on how to make some barbie cake pos and i love your marbled cake pops. they look awsome! Barbie? The silhouette? The face? That's something to think about. Thanks for the suggestion. I have to say, as much as I make cakepops, I've never thought about making them from little Debbie products!!! I will need to try them soon. Cute pumpkins. I also like your marble cakepops!! Loft House Sugar Cookies work GREAT as well! Um, anything I can keep on a stick???? 😉 Love these, and all your pops. I'm so happy I met you this year! That is genius and one of my favorite seasonal treats! How clever to make cake pops without cake! Love the pumpkins. I love these pops!!! So much easier using little debbies! Great idea thanks for sharing! I found you through Mrs. Happy Homemaker's linky party. Love your blog! Love this idea..thanks for sharing. Too cute! 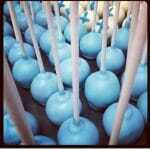 I think I'm the only person who has not made cake pops yet! Cute pumpkin cakepops. Love the idea of using the punch and sugar sheets. I really like your Penguin cakepops. I looooove your fish bowl and teeth cake pops. So cute! Love the pot of gold pops! That is so cute. I love the pumpkins. The cat ones you've done recently are super cute too! Very cute! 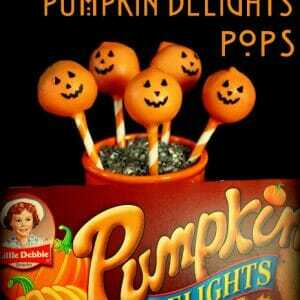 I love those little debbie pumpkin treats, so good and your cake pops are perfect for them. I've never heard of sugar sheets, I'll have to keep an eye out for them. And the straws are so cute, too! So cute! Can't wait to try! I can't wait to try this! They look adorable. Wow! Who knew you could use Little Debbie for cake pops? Brilliant! And they're just so cute! Love the purse pops and those teeth pops are too cute! I know a dental student who might like those! Ha! I pinned this to try!! I voted you as my Host's favorite for your Ginger Lime Cookies on Foodie Friends Friday and I KNOW how tedious cake pops can be to make and these are so cute! BTW I threw my hat into the ring for the cake pop kit. I only every rolled them by hand! Again, thank you for another wonderful contribution to our linky party! Have a great weekend! Love these and love how creative you've been with the punch and the black edible sheets. That's cool. My favourite shape of pop has to be the ball pop. You can create anything from it really or adapt it into pretty much anything. I so need me that set and one of those punches. I've joined in the giveaway but I'm not located in the US but have a US forwarding address so assuming it's OK to enter? 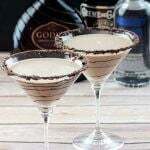 Can't wait to make these for Halloween. I would like to see a Christmas tree cake pop. Now, that is genius! You skip so much work using those instead of baking your own cake! Fabulous. And they're adorable too! Would you consider sharing here? These are adorable and they look delicious! Hope you are having a great weekend and thank you so much for sharing with Full Plate Thursday. Wow that looks like a lot of work! 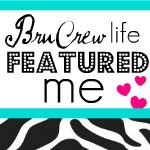 Thanks for sharing at Pin It Thursday! Happy 1 yr! Love the Martini cake pops. My first try at cake pops were a disaster. Hoping to try again. Thank you for the give-away! Great idea! Using the Wilton sugar sheets makes making the faces A LOT easier! Great idea! 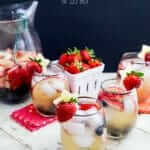 I found you via Delicious Dishes Link Party! Those are way too cute!!! I love that you used the sugar sheets for the faces…they look so much cleaner that way!!!! These are so cute! And they look tasty too! Love these little cuties! I haven't used the sugar sheets yet, but I'm going to get some now. Love the new look of your blog too. Way cute! Thanks so much for linking up to Creative Thursday. Can’t wait to see what you share this week! Have a wonderful week. Almost too cute to eat! That edible paper is SO cool! Thanks so much for sharing at Mom On Timeout! this is so up my alley! Pumpkin, yum! Featured you this week on the Sunday Showcase. Thanks for sharing. Wow. You seriously added each tiny piece of the face one at a time after punching each out one at a time? You are amazing. And… you are right… the pumpkins look FANTASTIC because of it!!! I never thought about using the sugar sheets… great idea. I stumbled on to this while searching for little pumpkin cake pops for my niece's baby shower. There are 100 people coming so I needed something simple that I can do THIS WEEKEND! I can't wait to surprise her with a beautiful pumpkin patch. I am going to try the indentions and stems. You are now on my favorites. Thanks so much for sharing!